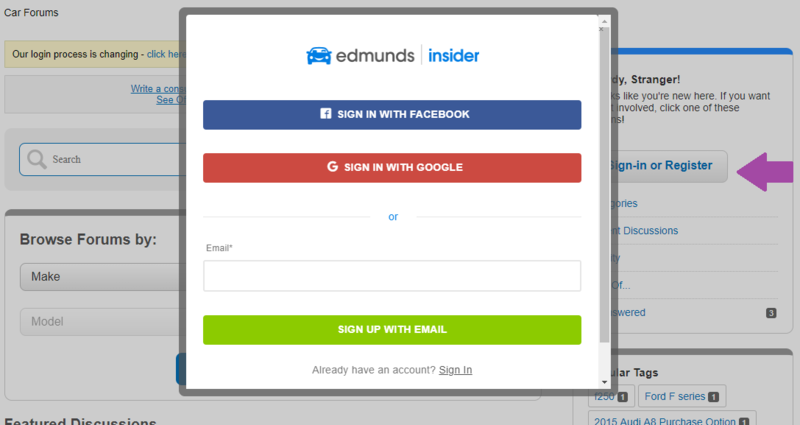 In August of 2018, we updated our forums login system to leverage our new Edmunds.com Insider system. Please follow the instructions below to get set up in the forums. No problem! We need to get you signed up for Insider. 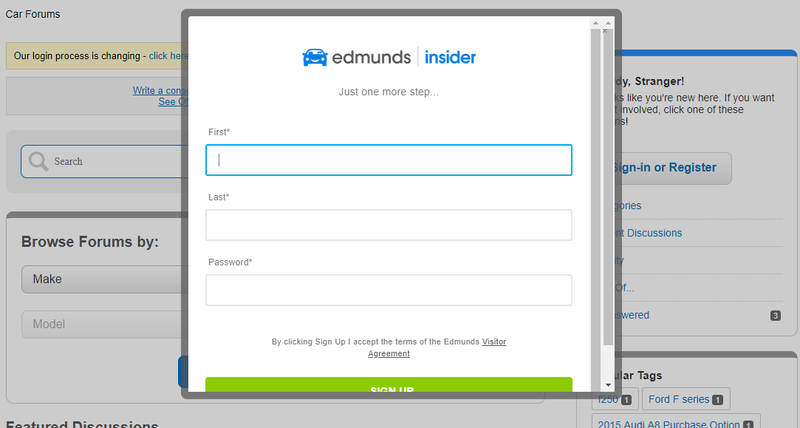 Step 4: You'll be asked to enter your name and choose a password - the minimum requirement for Insider is 7 characters, so you will have to select a new password if your existing password is shorter. Your first/last name won't be visible to anyone except you. Step 5: If you have previously posted in the forums, your existing screen name will merge automatically, and you'll be directed to forums as usual. If you have NOT previously posted in the forums, you will be directed to a screen to select a unique screen name that will be associated with your forums posts. Great! 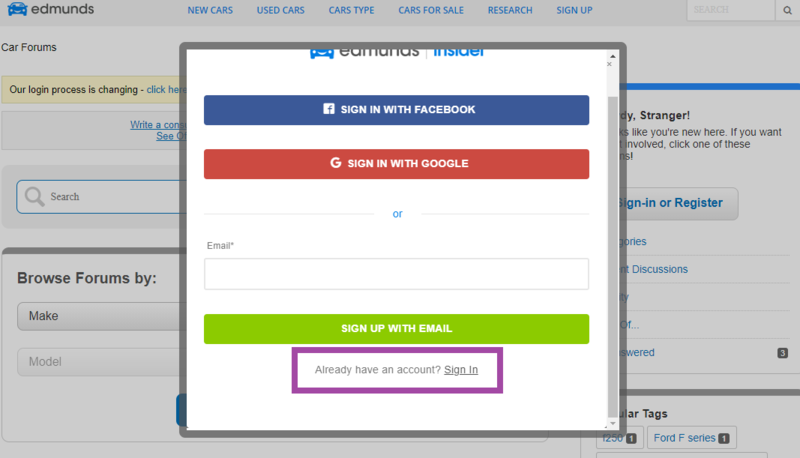 Simply choose the Sign In option from the pop-up (outlined in purple below), and your screen name and/profile will be merged.